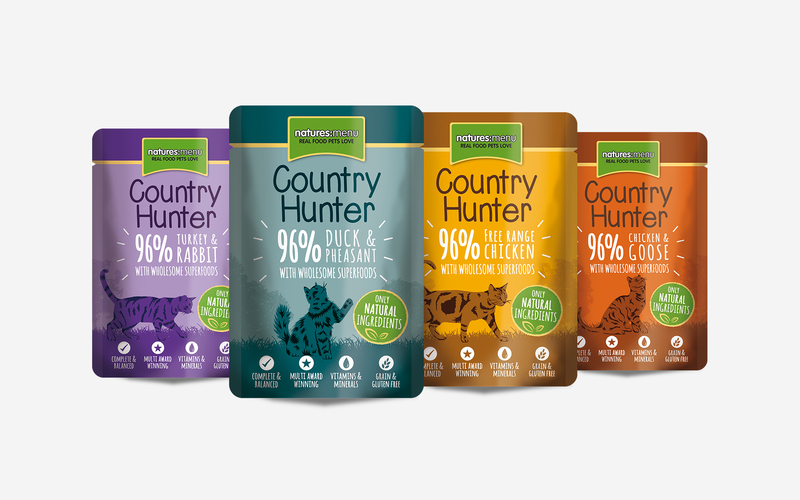 Having developed a strong relationship over the past year with Natures Menu, they commissioned us to create new packaging for their ‘Country Hunter’ range. 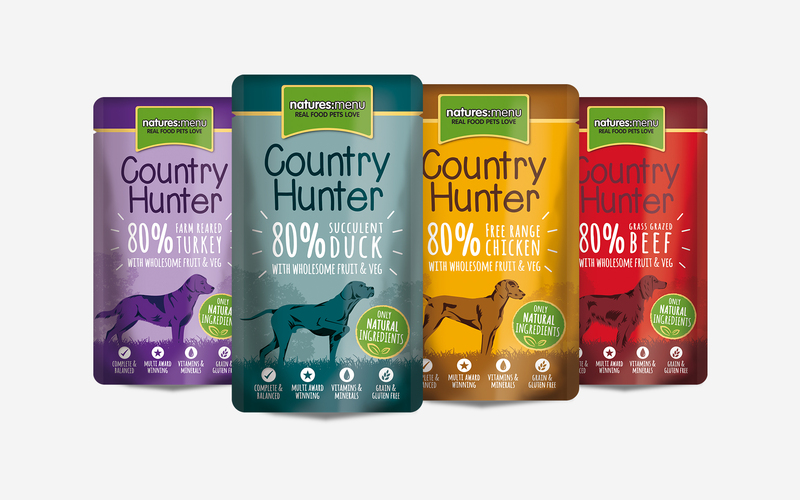 The Country Hunter products are the top of the Natures Menu range. Our approach was to analyse the existing packaging and how it could be improved from various perspectives (shelf presence, consumers, buyers). The packaging lacked contrast, impact and contained too much messaging; the iconography also made the packs confusing. We have now started to role out the new range. We created a key message hierarchy, a contrast and impact through use of colour and introduce certain conventions of pet food, such as imagery of the animal the food is for and colours relating to the flavours, to help the consumers easily identify each product.